Puput is a powerful and simple Django app to manage a blog. 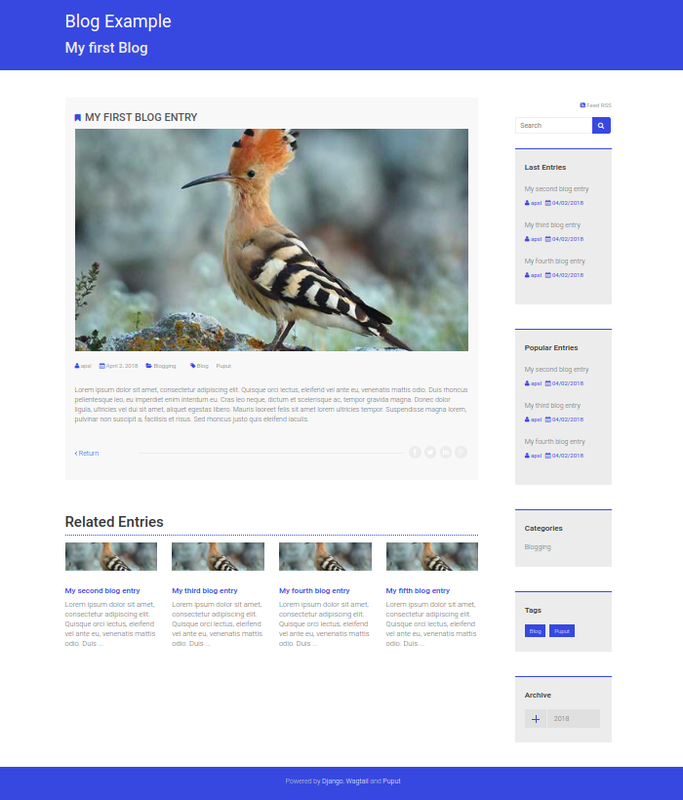 It uses the awesome Wagtail CMS as content management system. Puput is the catalan name for Hoopoe which is indeed a beautiful bird. © Copyright 2015, Marc Tudurí Revision c6399d03.